WHAT IS THE SOCIAL MEDIA & GLOBAL SPORT OBSERVATORY? The Social Media and Global Sport Observatory conducts academic research, disseminates data and delivers training around the issue of sport communication through social media. The advent of social media within the world of sport has revolutionised the way in which international sporting organisations and brands communicate with the general public, supporters, volunteers and fans, turning the issue into a fascinating field of emerging research. Social media requires of a new way of communicating; more direct and sincere, closer to the public, and with a new language to take advantage of the opinions from fans and followers and their user-generated content. The Social Media and Global Sport Observatory will respond to the various challenges faced by sporting organisations in this area. 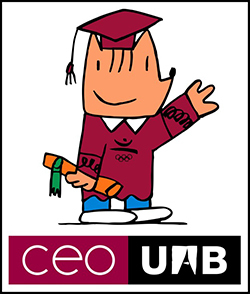 CEO‐UAB is a pioneer institution in the use of the Internet in Olympic Studies, with the launch of its web portal in 1995 being the first online presence devoted to so-called Olympic Studies. In 2011, it undertook the study, Social Networking Websites and the Olympic Family, a social media analysis of the Vancouver 2010 Olympics and Singapore 2010 Youth Olympic Games, commissioned by the International Olympic Committee. Titular Professor of Audiovisual Communication at the Autonomous University of Barcelona. Autonomous University of Barcelona, Emilio led the first research project on Social Networks and the Olympics, commissioned by the International Olympic Committee (IOC). He also led on the concept and design of the permanent exhibitions on Media and the Olympics of the new Olympic Museum 2020. He currently heads up the module on Media and Commercialisation forming part of the Master of Arts on Olympic Studies. PhD student at CEO-UAB and Master’s Degree in Media and Communications, Adolfo is research assistant professor at UAB Department of Communication and has also worked in several media outlets and development agencies such as Sampad South Asian Arts in Birmingham (UK). His doctoral thesis, started in 2017, focuses on the construction of the personal brand by sports stars. The PhD is directed by Doctor Emilio Fernández Peña at the UAB Department of Audiovisual Communication and Advertisement. PhD student at the Autonomous University of Barcelona, has a Masters degree in Audiovisual Communication and an Undergraduate degree in Journalism. He is currently a Researcher, Teaching Assistant and Head of Social Media at the Olympic Studies Centre (CEO-UAB). He previously served as an intern journalist with Televisión Española (TVE). Jose recently took part in the 22nd International Seminar on Olympic Studies for Postgraduate Students at the International Olympic Academy, held in September 2015. Graduated in Journalism (2014) and Master in Audiovisual Communication and Publicity (2015) by the UAB, and Master degree in humor script in television and radio programs by the Ramon Llull University (2016). He has worked in various media and communication offices. He is currently conducting his thesis on “Social networks, football and violence.” The PhD is directed by Doctor Natividad Ramajo at the UAB Department of Audiovisual Communication and Advertisement. 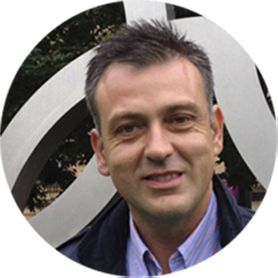 A visiting lecturer at the Department of Communication of Pompeu Fabra University, Xavier holds a PhD in Communication from the same institution, and is also affiliated to the Olympic Studies Centre at the Autonomous University of Barcelona (CEO-UAB). 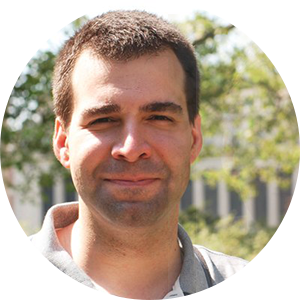 His research and teaching focuses on journalism ethics and accountability, sports media and Olympic studies. He has previously served as a visiting researcher at the University of Glasgow, the University of Alabama and the IOC Olympic Studies Centre. The Digital Methods Initiative is a contribution to conducting research into the “natively digital”, with a focus on the way in which methods may change due to the technical specificities of new media. Amsterdam-based new media scholars have been developing methods, techniques and tools since 1999, leading to a set of allied tools and independent modules that have extended the research into the blogosphere, online newssphere, discussion lists and forums. These tools include scripts to scrape web, blog, news, image and social bookmarking search engines, as well as simple analytical machines that emit data sets as well as graphical visualizations. The Social Media & Global Sport Observatory is part of the R&D project on “Social Networking Sites and Spanish Football: Violence, public participation and communication ecology” (CSO2015-69289-R), funded by the Spanish Ministry of Economy, Industry and Competitiveness. This research project analyses the complex communication, mechanisms of production and dissemination of violence in Spanish football through social networks, and offers solutions for their control. It also examines models of interaction with the public in major football tournaments and global sporting organizations.